You'll be £10.00 closer to your next £10.00 credit when you purchase Lord Mountcashel: Irish General. What's this? 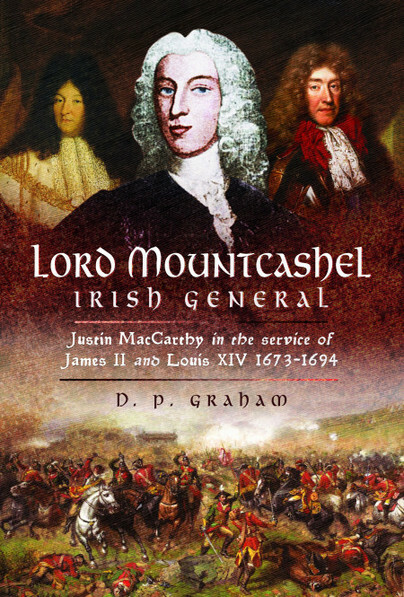 Justin McCarthy (later Lord Mountcashel) was born into a notable family of Irish Jacobites, loyal to the exiled Stuarts, and grew up in France. Their Irish land was regained after the Restoration of Charles II but Justin, as the youngest surviving son, sought a career in the French army (as both his father and oldest brother had done). In 1673 he joined an Irish regiment in French service. He served under the legendary French marshals Turenne and Conde against the Dutch and their Imperial allies and by 1676 was commanding the regiment. He became part of the personal circle of the Catholic Duke of York, the future James II and, after the latter’s accession in 1685, Justin helped to transform the Irish army into a Catholic one. When James II was deposed in the ‘Glorious Revolution’ of 1688 and fled via France to Ireland, Justin was one of the most experienced commanders resisting William’s invasion. Unfortunately McCarthy was defeated at the Battle of Newtownbutler (1689), wounded and captured. He escaped and again went into exile in France, where he was the first commander of the famous Irish Brigade until his death in 1694. This is a well-researched and very readable biography of an Irish officer who may deserve more recognition than he has hitherto received. It will obviously be of particular interest to wargamers who wish to recreate the campaign in Ireland and to re-fight the battle of Newtownbutler on the tabletop, but will also appeal to readers interested in the late seventeenth century wars in Western Europe, the Irish exiles in the army of Louis XIV and the origins of the Irish Brigade.